campaign pledges in restructuring Nigeria if elected President this Saturday without procrastination. Atiku gave the assurance while addressing thousands of party faithful at a presidential rally at the Adokiye Amiesimaka Stadium in Port Harcourt, the Rivers State capital. 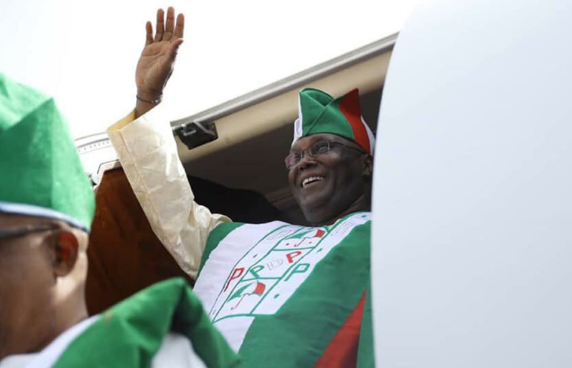 Atiku, who was accompanied by his running mate, Peter Obi, and other leaders of the party, said “If you (masses) elect PDP and Atiku into office; I will restructure Niger Delta and all other parts of the country. We must restructure the country. He said his administration would complete the dredging of old Port Harcourt and Onne sea ports if he wins the February 16 presidential polls. Senate President and Director-General of Atiku Presidential Campaign, Bukola Saraki, said Atiku has experience to take the country to greater heights. He said poverty and unemployment had reached an all-time high never seen in the country since its independence in 1960. “If you want a president that will work for 24 hours daily, a president with capacity and energy and a president who will be in charge and take responsibility, then vote Atiku."